Okay so finally finishing up the big update I have to do. These are from around Christmas and I wanted to make something wintery. Mix it with 2 c cream cheese frosting. Now this step is really important. 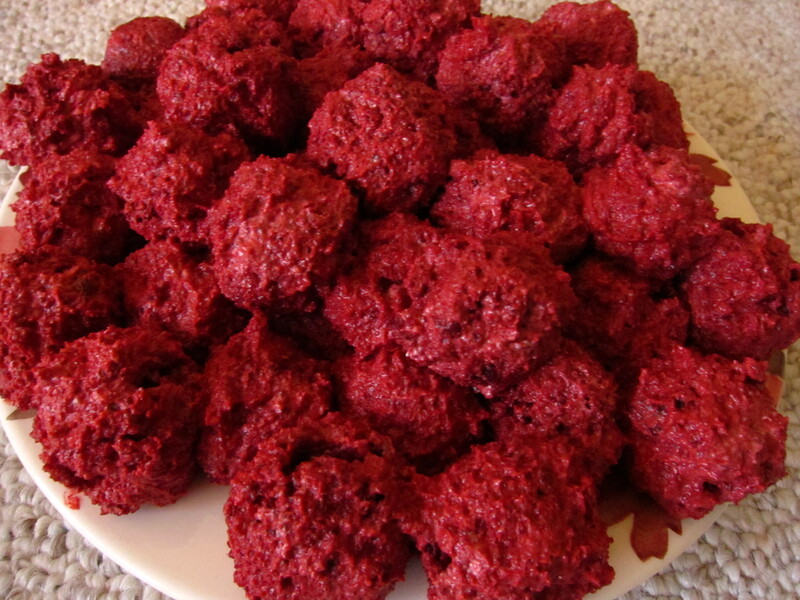 Place the balls in the freezer for at least 30 minutes so they hold their shape. While you wait, melt some white candy melts. 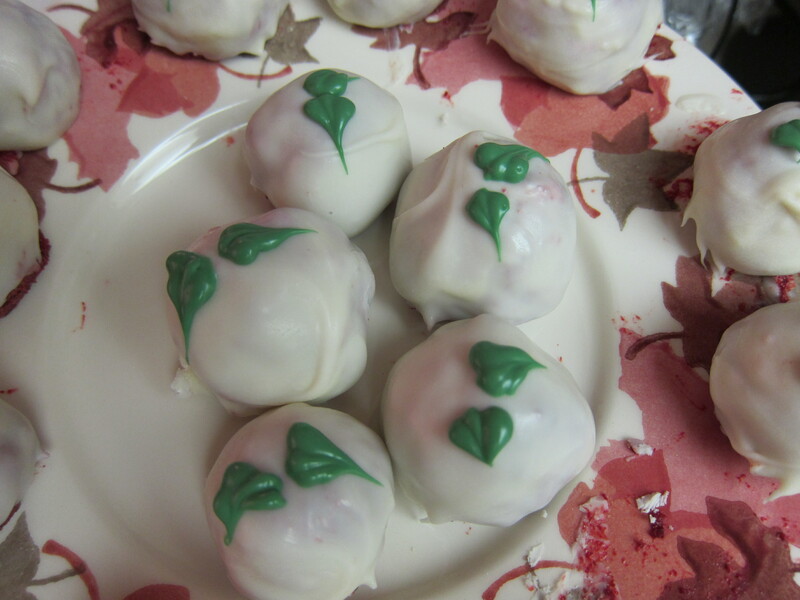 After they are thoroughly chilled, stick one end of the red velvet cake ball into the prongs of a fork. 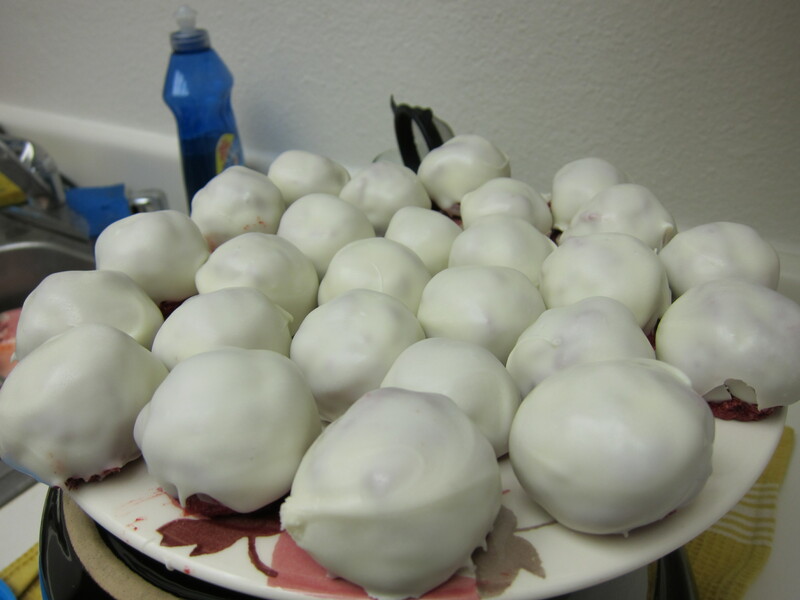 Quickly dip the ball in the melted and cooled white candy melt. Now for the fun part! 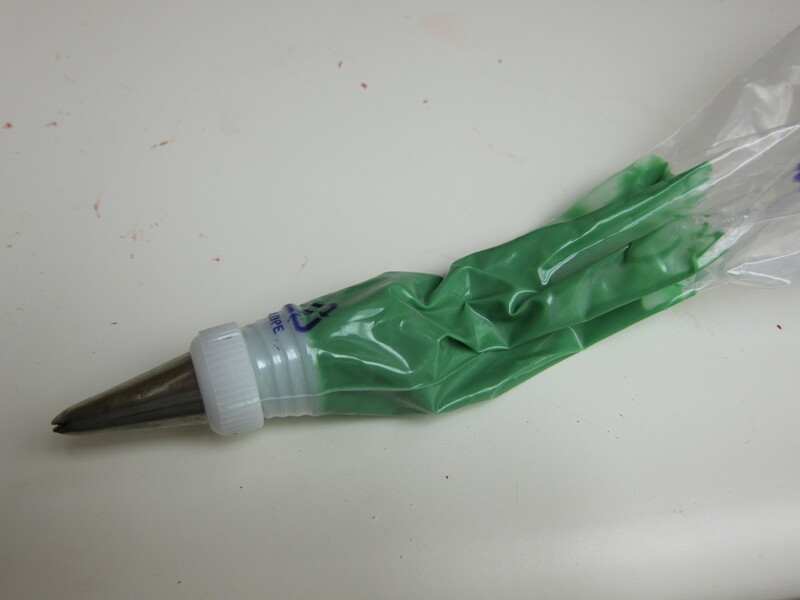 Melt some green candy melts and place it in a piping bag with a leaf tip [I used #67]. Then pipe on the leaves! 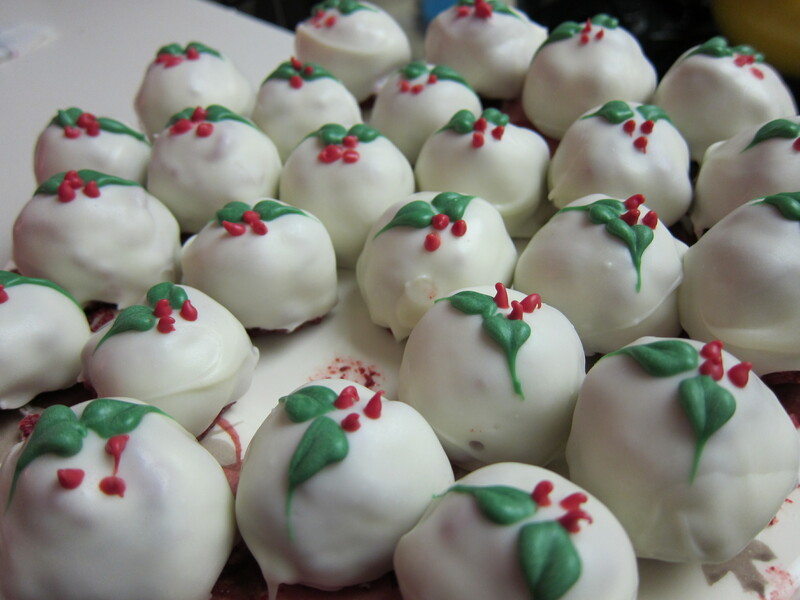 Do the same thing with red candy melts and dot on the holly berries. Voila! Easy, simple and adorable. 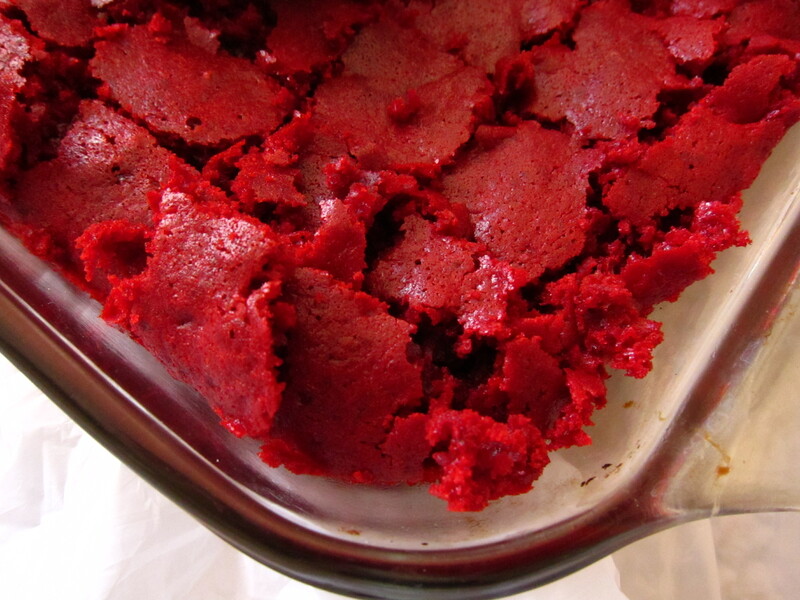 Pour batter in a cake pan . Bake, rotating pan halfway through, until a cake tester inserted in center comes out clean, about 25 minutes. Transfer pan to wire racks to cool completely. 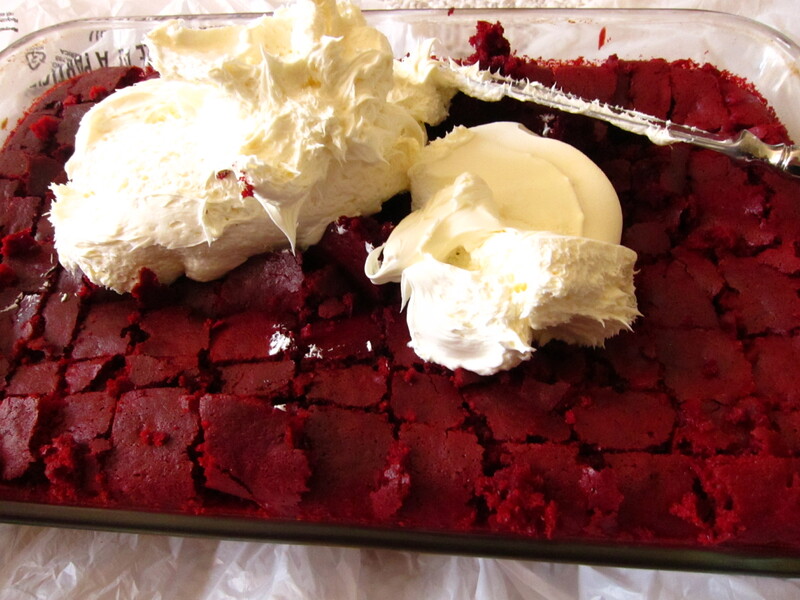 Beat butter and cream cheese with a mixer on medium-high speed until fluffy, 2 to 3 minutes. Reduce speed to low. Add sugar, 1 cup at a time, and then vanilla; mix until smooth. 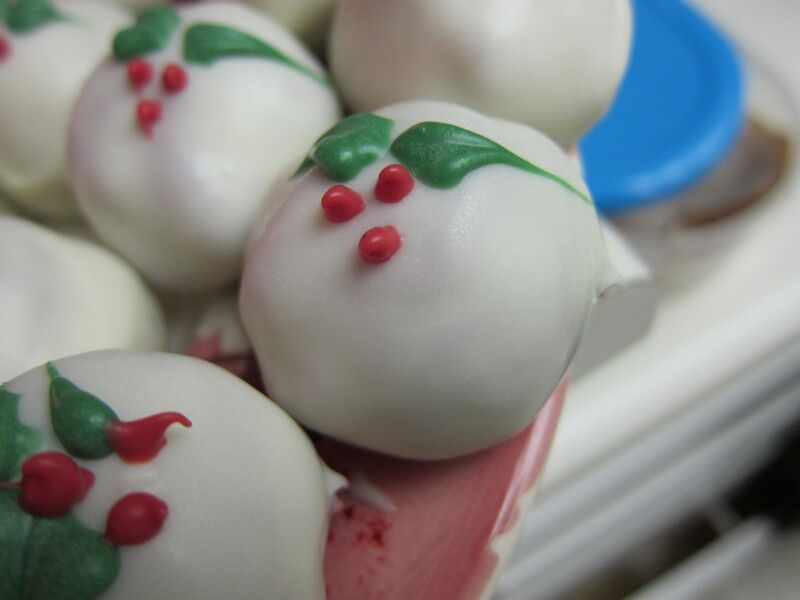 Frosting can be refrigerated for up to 3 days; before using, bring to room temperature, and beat until smooth.